RICHARD DEAN DANIELS COLUMBUS - A funeral service celebrating the life of Mr. Richard Dean Daniels will be held Friday at noon at the New Hope Baptist Church. Mr. Daniels, 63, formerly of Youngstown, went home to be with the lord on Feb. 17, 2016. Mr. Daniels was born Feb. 16, 1953, in Akron, a son of Bratton and Catherine L. Daniels. He graduated from East High School, was an avid lover of the Cleveland Browns football team and he enjoyed fishing in his spare time. He was a very active member and sponsor for Narcotic Anonymous, celebrating 19 years of being clean. He was formerly employed as a roll former at Clark Dietrich Building Systems for 23 years. He was a former member of the New Hope Baptist Church and he also attended the Shiloh Baptist Church in Akron. He leaves to cherish in his precious memory, his wife, the former Alberta Townsend, whom he married on Sept. 3, 1980; his children, Richonda of Columbus, Lareane (Timothy) Nuby of Campbell, Dawon (Naomi) and Charles Townsend of Columbus; his siblings, Kevin, Gerald and Henry Daniels, Cheryl Daniels, and Paulette (Dale) Wilson, all of Youngstown; his grandchildren, Artijah, Coreay and Amere, with whom he made his home with in Columbus; 16 grandchildren; four great-grandchildren; and a host of nieces, nephews, family and friends including, Tina Lindsey of Youngstown, and his Narcotic Anonymous family, who he held near and dear to his heart. 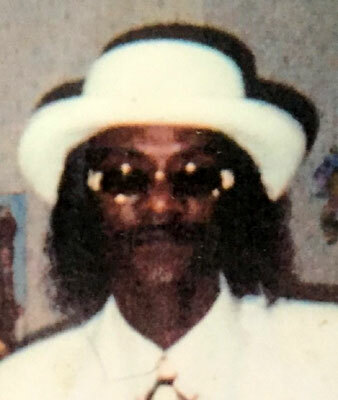 He was preceded in death by his parents; his great-grandmother, Luberta Hopkins; his grandparents, Raymond and Zenia J. Hayes; his great-aunt, Claudette Vaughn; and his favorite great-uncle, Luther Thomas. Interment will be at Green Haven Memorial Gardens. Please visit jewashingtonfuneralservices.com to leave condolences and to sign the online guestbook.